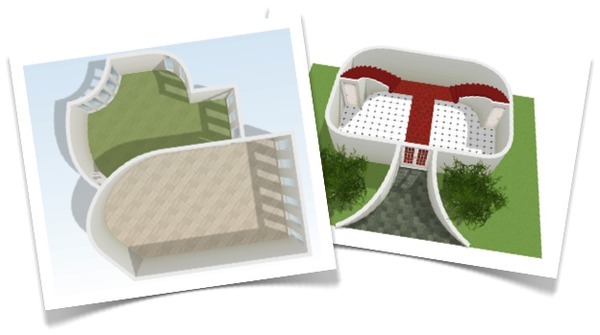 We are happy to present a long awaited feature: the ability to create curved walls. Until now you had to split walls a couple of times to get an approximation of your curve. When you wanted a really smooth curve this could become a bit time consuming and cumbersome that's why many of you requested the ability to make real curved walls. 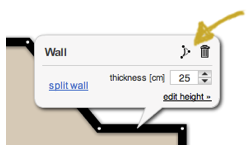 From now on you can make a nice curved wall with a simple click and drag operation. You can place windows and doors on them just like a normal wall and even have a sloped curved wall. How does it work? First create a straight wall and place the points on the right position. Then click the wall and use the icon in the top to start curving. Move your mouse until your curve has the right shape and click to confirm. We made a small video to show you around. Although we have tested it thoroughly, there still may be some improvements to make. If you notice any bugs the please send us an email or use our forum.